Be the first to share your favorite memory, photo or story of Frances. This memorial page is dedicated for family, friends and future generations to celebrate the life of their loved one. Frances Kiser Smith, 65, of Roxanne Street, Clearfield, passed away Saturday, January 12, 2019, at the U.K. Medical Center in Lexington. Born September 19, 1953, in Grayson, she was a daughter of the late Joseph Smith and Minnie Clay Smith. Besides her parents, she was preceded in death by her husband, Robert Kiser on November 22, 2004; son-in-law, Derrick Collins on December 15, 2016; three brothers, Raymond, Billy, and Gene Smith; and an infant sister, Phyllis Smith. 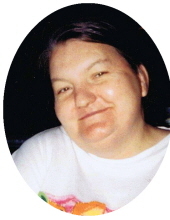 Frances is survived by three children: Lisa Collins of Morehead, Travis Kiser of Clearfield, and Kristal Kiser of Morehead; two grandchildren, Alisha Kiser and Amanda Collins; two step grandchildren, Jessica and Jason Collins; one brother, Charles Smith of Olive Hill; two sisters, Annie Smith of Olive Hill and Betty Moore of Sandy Hook; extended family; and friends. Frances was a homemaker and enjoyed singing, reading, watching movies with her grandchildren, and spending time with family. She was a loving mother and grandmother who will be greatly missed. Funeral services will be conducted 1 p.m. Thursday, January 17, 2019, at Northcutt & Son Home for Funerals Memorial Chapel with the Rev. Johnny Moore officiating. Burial will follow in Purvis Cemetery. Family and friends will serve as pallbearers. Visitation will be 6 p.m. to 9 p.m. Wednesday, January 16, 2019, at Northcutt & Son Home for Funerals, 400 Fraley Drive, Morehead, KY 40351. To send flowers or a remembrance gift to the family of Frances Kiser Smith, please visit our Tribute Store. "Email Address" would like to share the life celebration of Frances Kiser Smith. Click on the "link" to go to share a favorite memory or leave a condolence message for the family.